I also started the Ruffles scarf from the Scarf Style book. 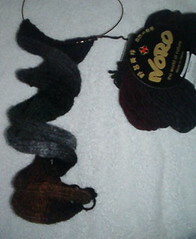 I'm using Noro Kureyon #51. It's so funky! 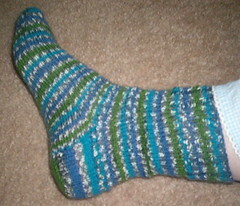 I may cast on for sock #2 tonight or I may work on my ribby cardi... First I have to clean!! My house looks like a tornado has hit!! New yarn and some mud!